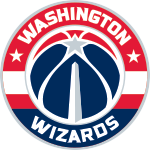 Washington Wizards Blog is the official team blog and includes insights from Jeremy Hyman and Jacob Raim, web editors of WashingtonWizards.com. Follow the team at home and on the road and get an all-access pass to news and information on your Washington Wizards. With John Wall's contract extension, the Wizards' vision is as clear as ever with Wall, Beal, and Porter locked in for the future. Follow what all of our players are up to this summer through some of their Instagram posts. Devin Robinson and Mike Young have signed two-way contracts with the Wizards for the upcoming season. On Monday, University of Kentucky Athletics announced that John Wall will be inducted into UK's 2017 Hall of Fame. The Wizards started off hot in the first half but went cold in the second, falling to the Timberwolves 80-73. The Wizards play their fifth and final game on Friday against the Wolves. Wizards keep Porter in the fold, solidifying core in D.C.
Washington matched Brooklyn's offer sheet for the young forward, securing another one of its top talents long-term. What's next?